With its new 2018 Honda Accord, Honda promises to offer more of everything consumers want in the midsize sedan segment, with an added touch of sportiness and premium performance. Improved at every level, the new 2018 Honda Accord offers many changes inside, outside and under the hood that make this 10th generation a model that we can’t wait to get our hands on. If you are in the market for a midsize sedan that offers more of everything you want, this is the car you have been waiting for. The 2018 Honda Accord offers two new turbo engines that are more powerful and fuel-efficient than the engines offered in the previous generation of the Honda Accord. Honda's new midsize sedan comes standard with a 1.5-liter four-cylinder turbocharged engine with 192 horsepower and 192 lb.-ft. of torque. This engine can be paired with a variable automatic transmission, or a six-speed manual transmission. The other option is a 2.0-liter four-cylinder engine that shares several components with the spectacular Honda Civic Type R. So expect performance to be a lot more impressive than you would expect from a vehicle in this segment. The high-end engine will offer 252 horsepower and 273 pound-feet of torque, and can be paired with an automatic transmission that has no less than 10 gears! A new hybrid engine with an improved thermal efficiency of 40% is also on the menu. 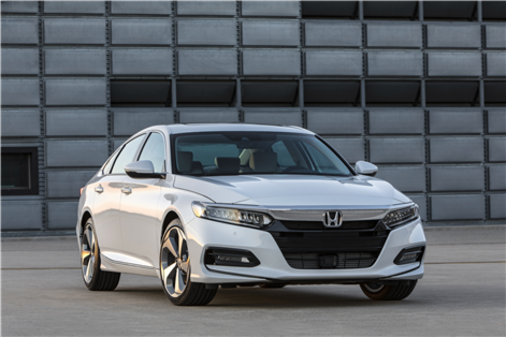 In addition to offering an impressive selection of new, state-of-the-art engines, the 2018 Honda Accord will have a chassis and body structure made up mostly of high-strength steel. This makes the new Accord more rigid and therefore more comfortable, safer and quieter. The 2018 Honda Accord will be available as standard with the Honda Sensing package, a group of driver assistance devices that includes technologies such as Collision Mitigation Braking System™ (CMBS™), Lane Departure Warning, Road Departure Mitigation, Adaptive Cruise Control with Low-Speed Follow (CVT Only) and new Traffic Sign Recognition. Additional available driver-assistive technologies include Honda LaneWatch blind spot display, Blind Spot Monitoring (replaces LaneWatch on Touring), front and rear parking sensors, Cross Traffic Monitor, and Driver Awareness Monitor. A rearview camera will also be standard in the new 2018 Honda Accord. 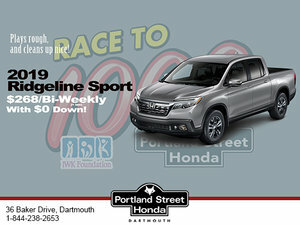 Come learn more about the new Honda midsize sedan today at Portland Street Honda!